Tired of buying good stocks and ETFs only to watch them go against you because of bad timing? Sick of entering a trade and not knowing what to expect next or when you should sell? Want to avoid getting crushed during the market’s next downturn? Then you’re in the right place. We use the Elliott Wave Theory to get you out of the guessing game that most people play in the stock market. We tell you (and teach you how to determine) where the overall market is going to go, what market sectors are going to outperform, and exactly what trades to make, including precisely when to buy and sell. Every day we use this powerful theory to accurately forecast the short and mid-term trends of the stock market and every one of its major segments. We analyze U.S. market indexes, U.S. market sectors, global markets, commodities, currencies, bonds and volatility to make sure you know where the best opportunities are in every corner of the market. Most importantly, we’re good at it; we handily beat the S&P 500 every year. We also keep you safe; our subscribers have been 100% in cash during every notable market selloff since we opened the doors. We’re not like other Elliott Wave forecasting services. There’s nothing vague about our market forecasts, instead we tell you exactly what is coming and back it up with specific trades. Along the way, we use every opportunity to educate you about the right way to trade using Elliott Wave. All of our trade recommendations come with exact buy and sell instructions using Exchange-Traded Funds (ETFs) and can be done in your normal trading account or IRA. See what our daily updates or weekly newsletters look like by following these links. This stuff works. Sign up for a no-risk, free 1-week trial and see for yourself! Or watch this video to learn more about what we can do for your trading account. We use the Elliott Wave Theory with aspects of a trend-following system to identify and trade the strongest market trends available anywhere. The Elliott Wave Theory allows us to identify very early on when new trends are beginning and when old trends are ending. Additionally, it can allow us to quickly identify the difference between a mid-trend correction and an actual trend reversal. Trend following allows us to stay in a trend as long as the trend is still in play. The best way to be successful in the market is to capture large portions of big trends, and no other technique does this as well as trend following does. You don’t need to know a thing about trend-following or the Elliott Wave Theory to use our service – everything we do is presented in remarkably simple terms to make our ideas crystal clear and tradable. But if you’re so inclined, click below to learn more. Learn more about the Elliott Wave Theory. We use purposeful trailing stop levels that are based on Fibonacci mathematics. Fibonacci Mathematics? It sounds scary, but it’s very simple and is the core of our risk management. Fibonacci math tells us what a trend should and shouldn’t do. It allows us to identify and use surprisingly tight stop levels that keep our risk very low at all times. And when you know the exact amount of risk you are taking on every trade, you’ll be amazed at how stress free your investments become. The only time we exit a trade is when our investment has informed us that the trend we are trading has completed. Learn more about risk management using Fibonacci. – We are able to expose ourselves to as many dynamic market trends as possible. – We can trade a wide range of distinct markets. Most investors trade only US markets, but that’s not always where the greatest returns can be found, nor is it the right way to diversify. – We can trade markets that would otherwise require a special account; all we need to trade ETFs is a normal trading account or IRA. – We can focus our trading on only the strongest markets without having to worry about the risk associated with any one company – instant diversification. – ETFs have huge levels of volume, so liquidity is never a problem. – There are many “inverse” ETFs, that allow you to profit from downtrends. This allows you to take bearish positions in accounts (like an IRA) where previously it wasn’t possible. – Trading only specific ETFs (as listed above) allow us to “get to know” each ETF, and to understand how they like to move over time to better understand when opportunities arise. All trades recommended in our daily analysis are near-term trades, while the trades recommended in the weekly newsletter are intended to be mid-term trades. Our near-term trades are more frequent and aggressive, while our mid-term trades are more infrequent and selective. However in both cases, we stay in a trade for as long as the trend is in play, and therefore our trade holding time varies widely. We have held trades for less than a week (normally a loss), and we have held trades for over 10 months (normally a sizable gain). If we averaged all of them out, we’d probably find our average holding time to be around two months. But in reality, we trade for exactly as long as the market we’re trading allows us to. Look, I’ve been where you are. I’ve suffered through years of “market education” in the form of unnecessary losses. I’ve read literally hundreds of books on different trading systems and how to uncover the “holy grail”. I’ve looked at price charts packed with dozens of technical indicators looking for the magic combination. Almost all of it is noise that distracts you from what truly matters. Elliott Wave – specifically objective Elliott Wave – is the answer. The market tells us all the time where it’s going to go next; only Elliott Wave knows how to listen. If you’re ready to take control of your investment portfolio, use stop levels that actually mean something, understand the market like never before, and consistently beat the S&P 500, then let’s go! 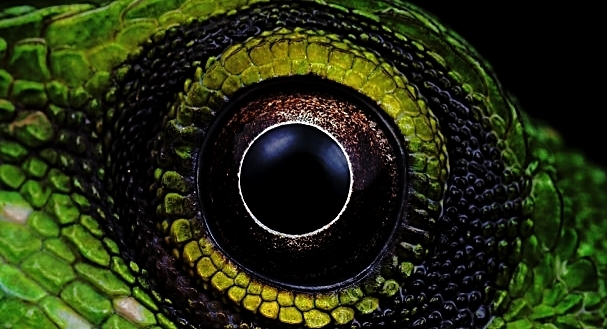 Click on the lizard eye and sign up for any of our memberships to receive a 20% discount for as long as you are a TrendLizard member! Enter the discount code TL20 at check out. You will also receive your first week free. This offer won’t be around for much longer!